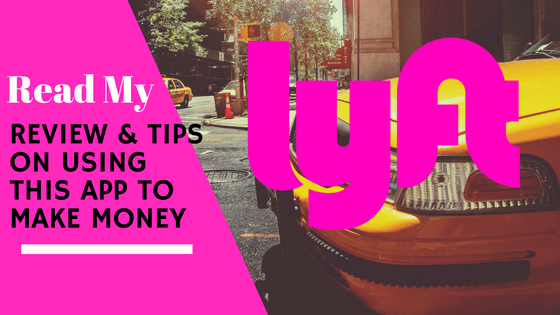 Home › Reviews › Is Lyft A Scam? Is Lyft a scam? Find out in my review of this Transportation Network Company. So what is Lyft? Well, my curious reader, Lyft is an on-demand ridesharing network for people looking to move around within cities. Lyft is also a downloadable app available on Android and iOS. 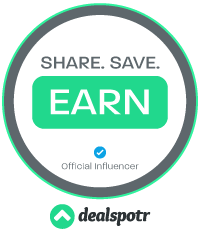 When signing up you can enter in DAN099783 as my referral or just click here to sign up for Lyft. Once the Lyft app is downloaded, you request a ride with just a tap of a button. It’s that easy. Lyft drivers can usually be identified with the pink mustache located on drivers dashboards. In this tech age, we are currently in you are no longer required to hail taxis with your wolf whistle and shaking arm. Just grab your ever ready smartphone from pocket, purse, bag, or not quite phased out fannie pack and with a simple click, you can have a friendly driver arrive to pick you up and transport you within the city for a fee, of course. 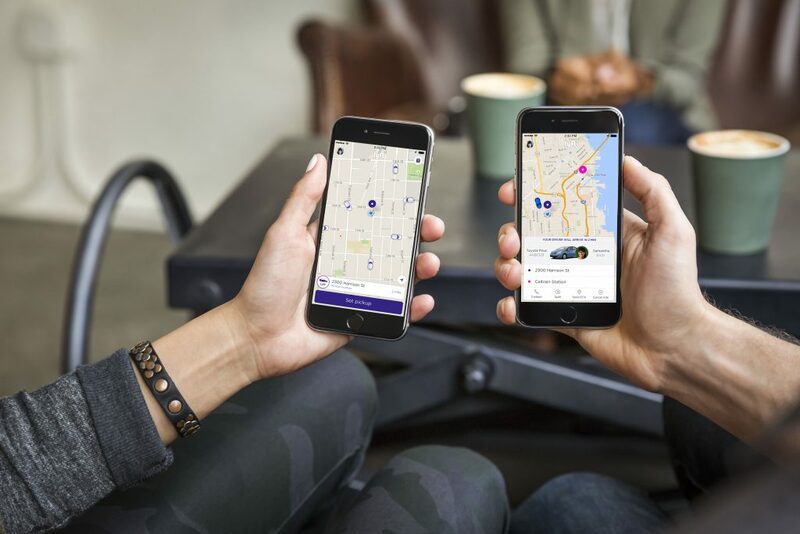 Lyft can be called ridesharing as you can share a ride with someone but to be more precise or as they say, hit the nail on the head, called ride-hailing services. Not only can you get a ride you can also become a driver for Lyft. This is what this review will be focusing on, making money via Lyft. With Lyft’s claim of making up to $35.00 an hour, why not right? So Maybe this is for you. Get Pick Up and delivered to your destination. You’re probably wondering how much does Lyft take from your fares in percentages. Lyft takes 20% of your Lyft fares. What Kind Of Ride Services Are Available At Lyft? 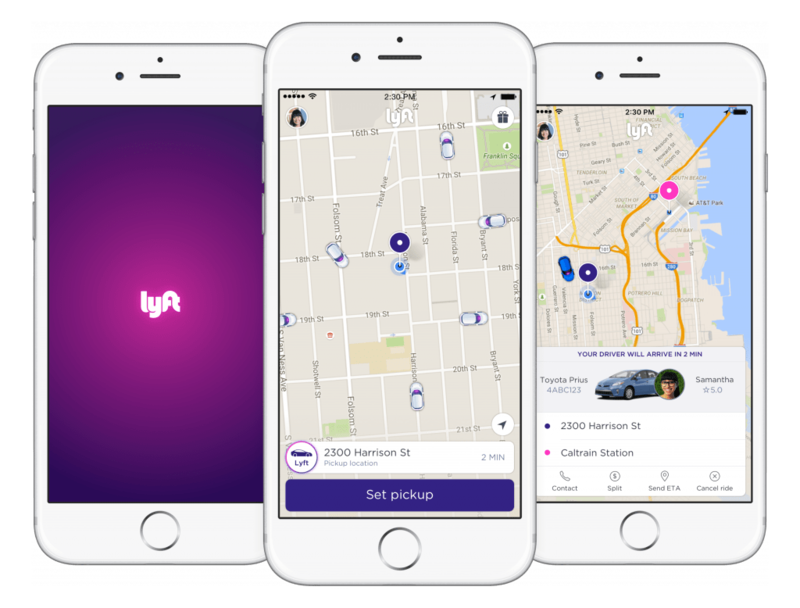 Lyft Line – The way you reduce the cost of your ride by sharing it and splitting the cost with another rider. Lyft – 1 to 3 people. 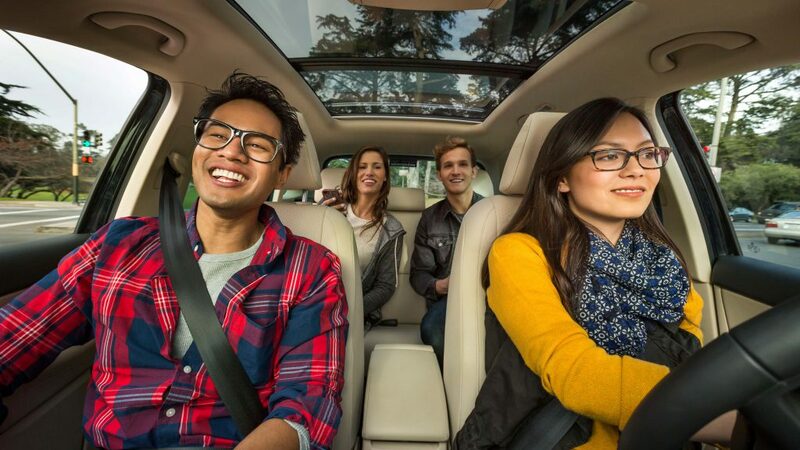 Lyft Plus – A large carry capacity with six seats. Lfyt Premier – High-end ride. Arrive in style. Must have a 2004 vehicle or newer. Must pass Lyft vehicle standards. Must pass a background check and DMV check. Must have drivers license, license plates and insurance. Meet with a Lyft Mentor for a session, they inspect your car, practice ride and answer questions. Meet any In-State License & Registration requirements. A rating system for both driver and customer. You’re able to leave feedback for a good or bad experience. A complete background and Department of Motor Vehicle check must be passed in order to drive for Lyft. Great for passengers security. Drivers are never paid cash, or with a credit card, they are paid automatically through the Lyft app. Fewer hassles and simpler. 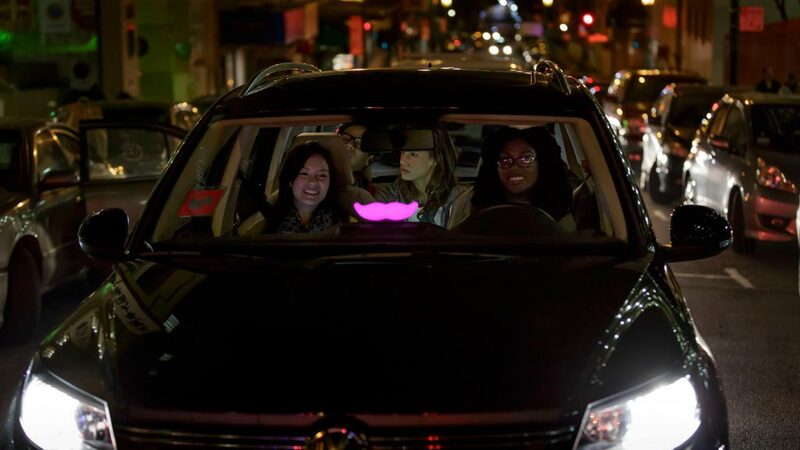 Busy times or as Lyft calls it prime time, rates for rides go up. Expect to make more during these times. Very Flexible. The flexibility to drive when you want and are available to drive. The ability to earn tips. Referring each new passengers gives you #10.00 bonus. Smaller cities Lyft is not yet available. Larger cities are where this app shines and with plenty of work. Not a household name like Uber, but it is building recognition. As Uber has been around since 2009 and Lyft just since 2012. Their use of pink is very emasculating. Ha Ha Ha. Lyft takes 20% of your fare amount. You’re not compensated for a canceled ride when in route to that job. Wasted time and gas. Fierce competition from competitor Uber, and traditional taxi services. Being your own boss. You set the hours of when you want to work. Wear and tear on your car. Oil change, replace tires, interior damage, etc. Some reports of high customer cancellations. Inconsistent money making. Some days you do well other days you don’t as much. Lengthy vehicle requirements. If you have a newer car, you should be good to go, they have a vehicle age requirement too, at the time of writing this must be 2004 or later. Age requirement must be 21 years of age. Not a bad thing. The possibility of dealing with drunk people. Wasted time sitting around waiting for work. Support is lacking and needs to be improved upon at Lyft. Sometimes hard to locate passenger, can’t pinpoint the person, can be off more than 200 ft.
Driving during the “Prime Time” is the key to making more money, as you are paid more for these times. Weekend nights and also rush hour are the time to make money. Having a fuel economy car is obviously a must. You should be pleasant and should feel free to start a conversation if passenger(s) don’t want to talk, kindly remain quiet and drive. At least you tried and made the effort. Try to read the passenger, and maybe they have work or something to think about, so respect that this might be the case. People skills will get you better tips and ratings. Get familiar with your city. Study the streets & neighborhoods. Get familiar with events, concerts, gatherings. Plan to work before and after these events are done. Apply as fast as you can if you want to drive, background checks may take several weeks. Be courteous and fun. Open doors for people, turn on whatever music they like, offer to help with luggage when picked up and when dropped off. Keep track of all expenditures, for tax write-offs purposes. QuickBooks Self-Employed is really recommended. Create signs that introduce yourself and display in your car for passengers to see. Have some sort of trash container to deal with garbage and to keep the vehicle clean. Also get barf bags. You’ll be glad when the situation happens. A good suggestion would be to have phone chargers available for passengers also for them to charge their phones will getting a lift. Have a cheap snack and offer to them, either donuts, starbursts, bottled water, or snack bar. Possible to make more in tips with this trick and you’re being nice and disarming. Have a separate phone or tablet with a different account open within Lyft (wife, husband) on you to observe where other drivers are gathered. Move away from that area to a less busy section of town. Some strategy can be involved. For the ride service, it is needed for the majority of city dwellers and visitors need to traverse within the city. For business or pleasure, you will get a friendly and affordable ride. Lyft has a nice Help section that is full of videos and tutorials on and about Lyft. Lyft has a Help Page where you can fill out a request help form. Is Lyft a scam? Nope, not at all. Take comfort that this company has been around since 2012 and has paid many drivers for providing ride-hailing services. Is it possible to make money driving for Lyft? Yes, though I think the up to $36.00 an hour that Lyft claims are a bit high for the average driver. It is a way to pull in extra money all the while setting your own hours. You will be dealing with the public so patience and being courteous is a must, also for earning tips. There are numerous accounts of people having a hard time making enough money when you factor in the wear and tear on your vehicle, paying for gas and such. Close consideration of the small details should be a factor in deciding if you want to embark on this venue of earning money. My suggestions are to download the Lyft app for your device Android and iOS and then click here to sign up and use the passenger service to see what it is like and to ask the Lyft driver questions about driving for Lyft. Then form your own opinion about driving for Lyft. Hope this helps you decide if you want to drive for Lyft and the possibility of making extra income. If you are looking for a 100% legit way to make money, instead of driving people around. How? By owning your own online business. This method provides the best training online along with the most helpful and friendly community online, with all the support to get you building your online business. I recommend you read my #1 Recommended Program and sign up to get started today. ‹ What Is WrapMatch About?